Big things come in bigger packages these days for which you also have to pay every pence of your pocket. Now the question is why all expensive things are unreachable, why they are so excellent that we want them so bad? And why they always are so good to be purchased? Well the simple answer to it is that quality and excellence is not compromised if a thing is costly. Of course the consumer won’t pay a dime if he thinks it is not worth buying. Therefore big brands usually keep an upper hand by making the product, device/gadget a little high on the budget. Obviously it tickles spending cash which you have earned yourself after tons of struggle, burning midnight’s oil and by doing your best at your workplace. But some cool kids get the same high profile branded stuff without even yearning for it. Golden spoons are not in everybody’s mouth, you get to earn yourself greater things by putting efforts and by making your earnings legit. What phone are you using these days? Well if an android then you must get your eyes fixated upon Apple iPhone 7 Plus which is a must buy, a bit too celebrity looking phone and also expensive to grind yourself but it totally worth the price. But if you are having it already then give it a new look by dressing it up in a fancy way. Buy yourself some cooler looking iPhone case/cover that defines your personality. 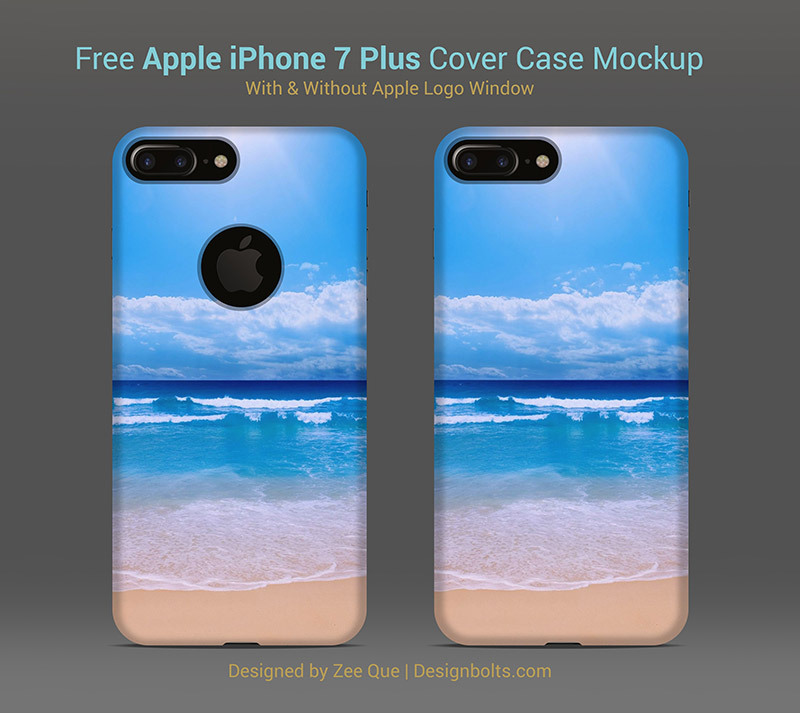 Anyway my today’s post is putting forward free Apple iPhone 7 plus cover case mockup. 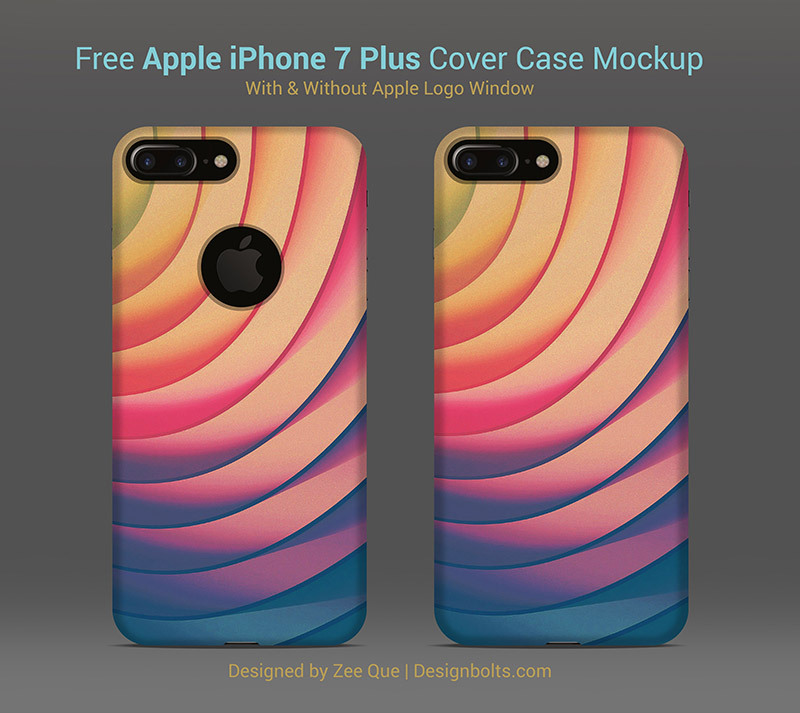 You can add in your own design elements and present it to your client that how the case/cover will look on his website for the purchase, or for any respective matters both personally or commercially. For more amazing design feed, do a check in again, subscribe us for daily design updates and trust us, we won’t let you down. Here we go! Thank you for this free resource. I upload it to my website with a link to your official Behance account.